Colleen Glenney caught the unusual cloud at sunset over the Back Bay this evening. Read more. 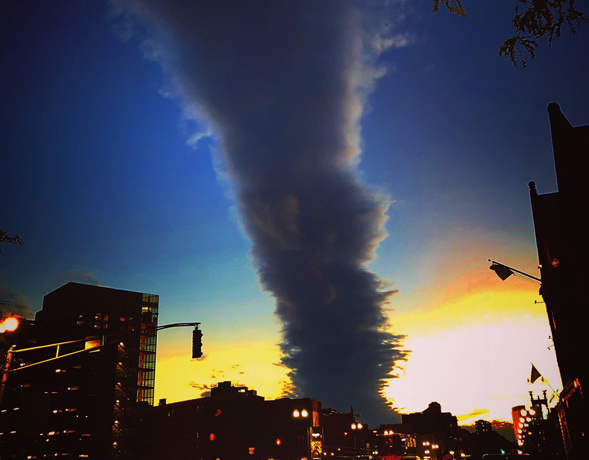 Photographynatalia took a photo of the weird cloud, looking like it's about to smack Boston, from Winthrop. Read more. Rick Macomber greeted the new day - and the new season - in the South End. The South End wasn't the only place summer was breaking out: Read more. J. Nathan Matias watched the storm come in over Boston early this evening. Greg Hum scanned the skies above Union Square in Somerville around 7:30 p.m.
Ryan Murphy watched the storm move in over Cambridge this afternoon. Rob Littlefield looked up late this afternoon. Tamas K-L captured the evening storm. Jon Skarin watched the storm roll in: Read more. Tamas K-L looked north shortly before 4 p.m. The National Weather Service radar shows a line of storms north of Boston. Not long after, Stephanie M. checked in from Malden: Read more. 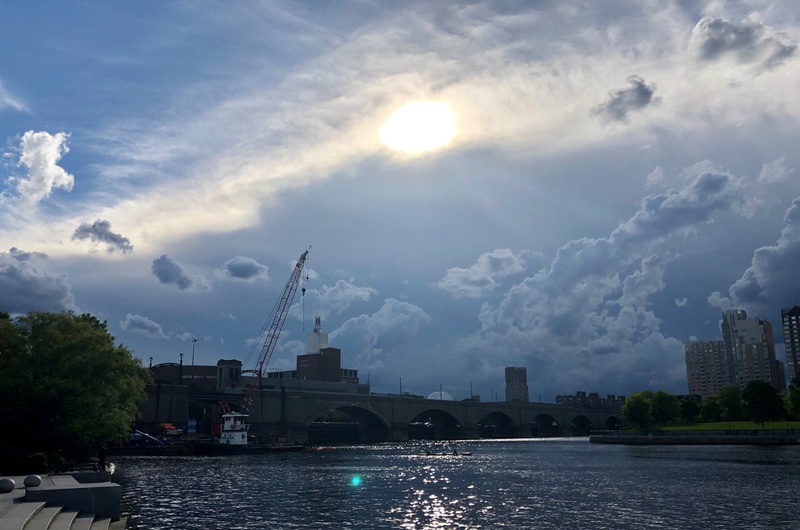 J. Nathan Matias watched the clouds over the Charles and MIT in Cambridge this afternoon. Read more. 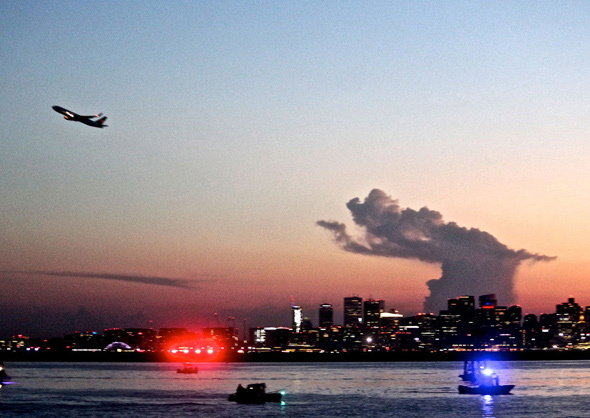 Great Spaces Boston created a time-lapse video of the clouds over Boston late in the day. Read more. Johnny Saylor captured the giant doom cloud that burst over Somerville this afternoon. Alyssa Banker Hiller looked up in the Public Garden. Rob Littlefield looked out his window at lunchtime today. 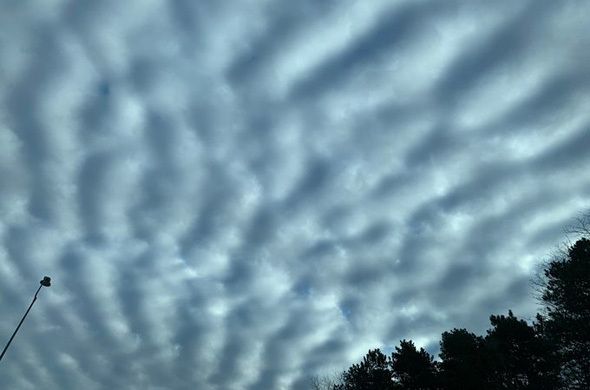 As the storm moved in this morning, William Holbrook looked up and saw these unusual clouds, known as undulatus asperatus, as WBZ explains. Mashed-potato clouds over downtown Boston. Alyssa Hiller snapped the skies over 128 near Rte. 2 this afternoon (no, she was not the driver). 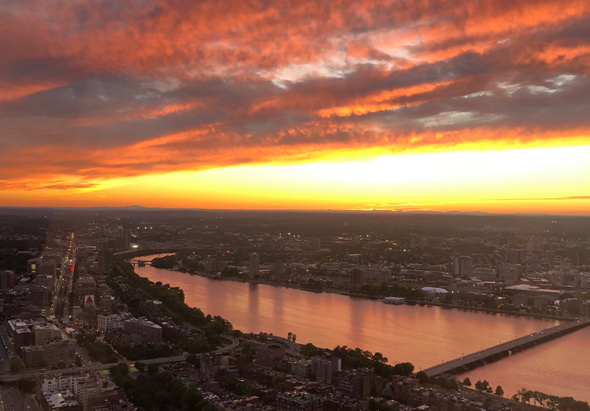 Mitchell spotted a similarly amazing scene along the Charles River about 30 minutes west of Boston: Read more.